SparkFun's Department of Education uses electronics as a creative medium and hands-on learning tool, with products and curriculum designed to develop foundational skills for students to explore the world of electronics, increase investment, and ownership in education, and plant the seeds of inventorship in today's youth. Are you an educator interested in SparkFun? 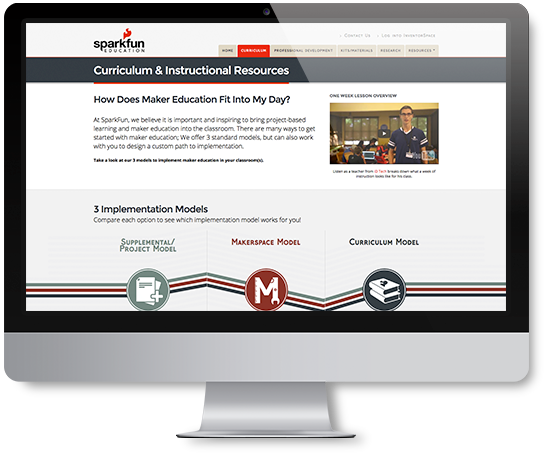 We have an education website dedicated to providing educators with curriculum, professional development, kits/materials, and other resources about maker education.